Miami is a cosmopolitan hub of everything that is quintessentially Floridian; beautiful beaches, endless sunshine and happiness on tap.The commercial capital of Florida is the perfect second leg to a twin-centre Orlando villa rental holiday.The combination of Orlando's themed adventures and Southern Florida's exquisite coastline is sure to tick every box for even the most discerning of holiday makers. Step away from the comfort of your Villa In Orlando holiday villa rental for a weekend or a couple of days and experience a completely different side of Florida. 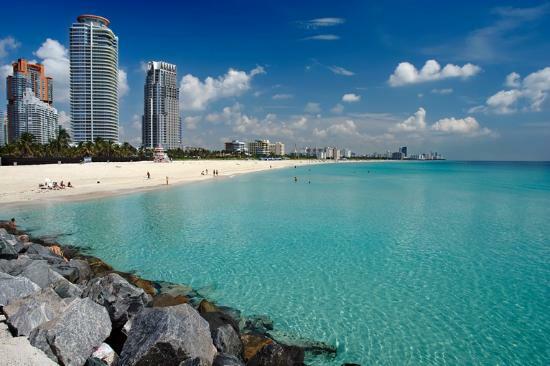 Miami is home to a paradise of sugar-white, sun-kissed beaches that are lined with an eclectic range of oceanfront hotels. Enjoy views of golden sands and clear turquoise waters from the balconies of boutique boudoirs, or from the comfort of one of the many super-green 'eco' hotels. 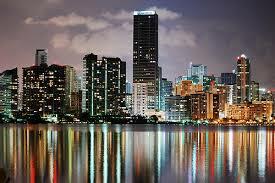 It's impossible not to fall in love with Miami. The variety of holiday activities that are on offer is incredible, and they are all a whole world away from holiday activities in Orlando. If you are planning an Orlando villa rental holiday in October, this is the perfect time for a twin-centre break in Miami. 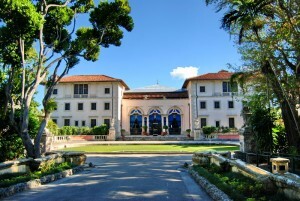 October is Miami Attraction Month which means great holiday activity deals for you and your family. We all know how difficult it is to make your hard earned money last during your villa rental holiday, so why not travel to Florida in October when flights are also less expensive? You needn't spend a penny to have good time in Miami, soak up some sun on the beach or cruise the streets on a picture-perfect bike ride for some low cost, blissfully happy family fun. Miami and Orlando are some of the most popular and well known cities in the world and you can experience them both in just one holiday. Although the four drive from your holiday villa may seem like a long journey, it can fly by as you pass some amazing cities along the Gold Coast between Orlando and Miami. Alternatively you can fly between the two in as little as one hour. The adventure and excitement of Orlando is truly magical for all the family. However, Miami is the perfect contrast with a contemporary and relaxed feel that will give you that much needed recharging energy boost - especially after experiencing the roller coasters and 3D rides at the Orlando theme parks! Miami offers you the chance to explore and enjoy being a tourist at your own pace, without the excessive G-forces and loop-the loops! 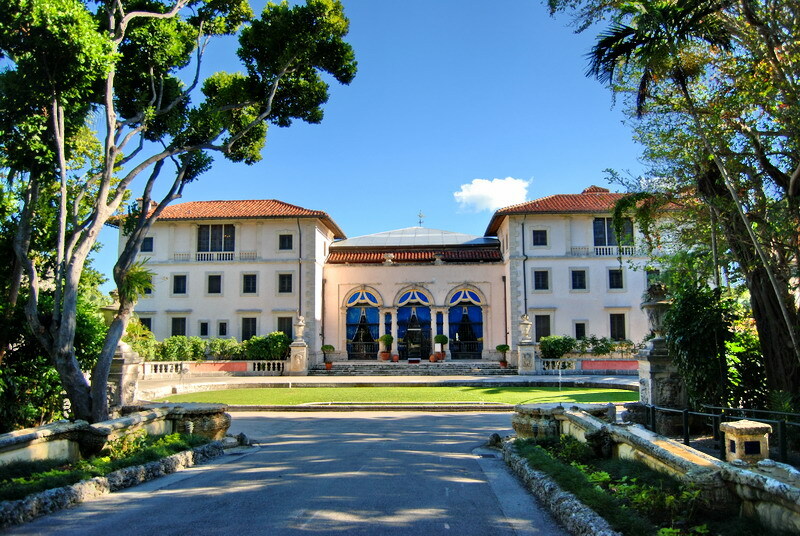 Vizcaya Museum & Gardens is an idyllic estate that is steeped in history and timelessly elegant scenery that is perfect for those who want to experience some American culture. Another classic attraction is Miami Zoo, which offers the fantastic 'Monkey Jungle: Where Humans Are Caged & Monkeys Run Wild.' Monkey Jungle is part of a world-wide effort to save monkeys close to extinction and protect them within familiar environments. Both Miami and Orlando can both be anything you want them to be. If you're travelling as a family, a couple or as a group of friends looking for a good time: your twin centre villa rental holiday in Orlando and Miami can be tailor made to create a perfect, golden, sun-kissed holiday that you never want to end.